It’s Fishmas time on the Island, and a mysterious light in the sky fixates the Pygmies’ interest for maybe a solid two minutes. Yet late at night, Nooby is captured by the source of that light – a demented, fat old man who lives on an ice island far away! Going by the name of St. Prickulous, he integrates Nooby into his fiendish experiment to create new life! Specifically, a diabolical Pygmy simulacrum by the name of Newbie! Can the other Pygmies save Nooby in time? 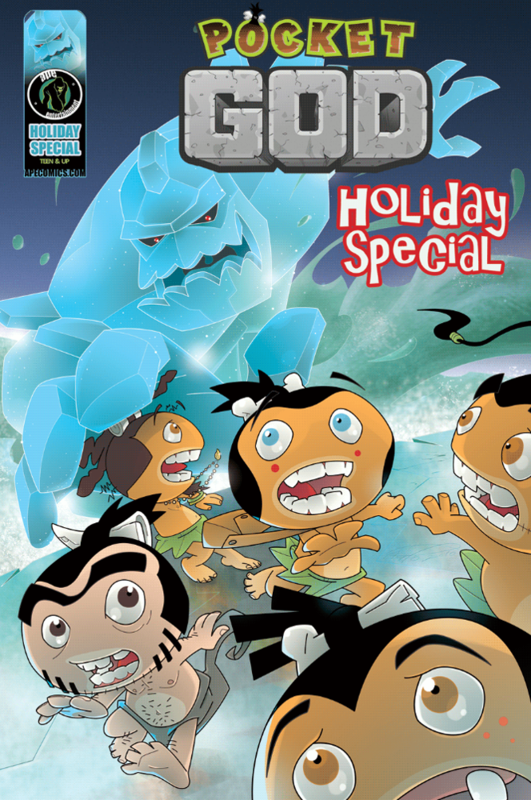 Better yet, can they save themselves from the mysterious ice monster intent on putting the deep freeze on the entire Pygmy tribe?